Jason Short is an experienced trial lawyer who can help anyone feeling like they are buried in legal problems. Jason is proud to provide quality legal representation to his clients facing both criminal and non-criminal matters throughout Oregon. Prior to starting the Short Law Group, P.C., Jason worked for nearly 8 years as a Deputy District Attorney in Oregon. As a former prosecutor, he gained extensive trial experience trying over 160 cases to juries and judges and handling over 6,000 cases. These cases ranged from DUIIs, traffic crimes, misdemeanors, felonies and serious Measure 11 cases. He has even represented attorneys in court facing criminal charges. Jason also gained experience by working as an intern in the United States Attorney's Office in Portland where he tried cases in Federal Court. Additionally, Jason gave several trainings on search and seizure law to new police officers and sheriff's deputies and can now apply this valuable knowledge to his clients faced with similar legal issues. After leaving the District Attorney's Office, Jason opened his own law practice and successfully grew the practice by earning the respect of judges and attorneys throughout the region. He has a reputation for being honest, loyal, helpful and fair. These experiences, both in and outside the courtroom, have given Jason an intricate understanding of the strengths and weaknesses of both criminal and civil cases, as well as the strategies used by the opposing counsel. His knowledge of the criminal justice system offers you a unique opportunity to understand the best approaches in dealing with your particular legal situation. Jason has been named to “The National Trial Lawyers: Top 100 Criminal Defense Trial Lawyers” List. 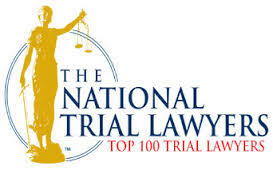 The National Trial Lawyers: Top 100 Trial Lawyers is an invitation-only national organization composed of America’s Top Trial Lawyers. Membership is extended solely to the select few of the most qualified attorneys from each state who exemplify superior qualifications of leadership, reputation, influence, stature and profile as civil plaintiff or criminal defense trial lawyers. Criminal Defense Attorney Jason Short was selected in 2014, 2015 & 2016 to join this distinguished group of trial lawyers. On a personal note, Jason was born in Washington State and raised in Salem, Oregon. After attending college in Utah, Jason returned to Oregon and graduated from Willamette University College of Law. Jason is married and the father of 4 children. Jason enjoys spending time with his family as well as playing golf, fishing, racquetball, hiking and camping. He is also an Eagle Scout.